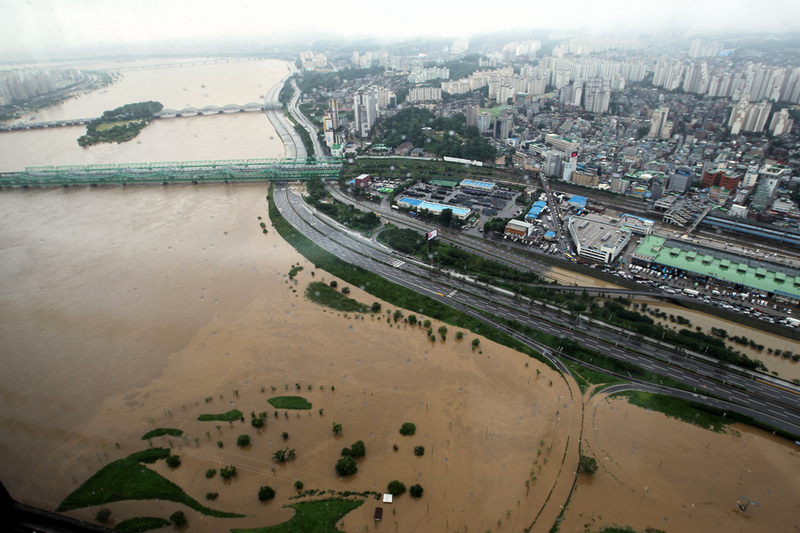 If you’re keeping up with news around the world, you should know by now that there has been a massive flooding in South Korea. I was in Korea for one year and during the summer, I can remember it rained almost non-stop. And it even rained more this time. I suppose S. Korea is in an unfortunate position because it’s a peninsula next to the seas, making it more likely for clouds to dump on S. Korea before it disperses out to the sea. 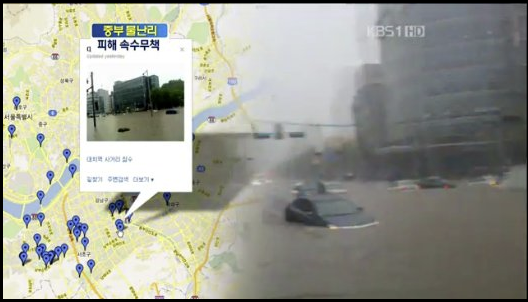 I found it interesting that KBS news channel used Google Maps to show where the flooding was, so I am thinking that Google products have broken into Korea’s public mainstream as they get the information quickly. There are some good big pictures on boston.com.